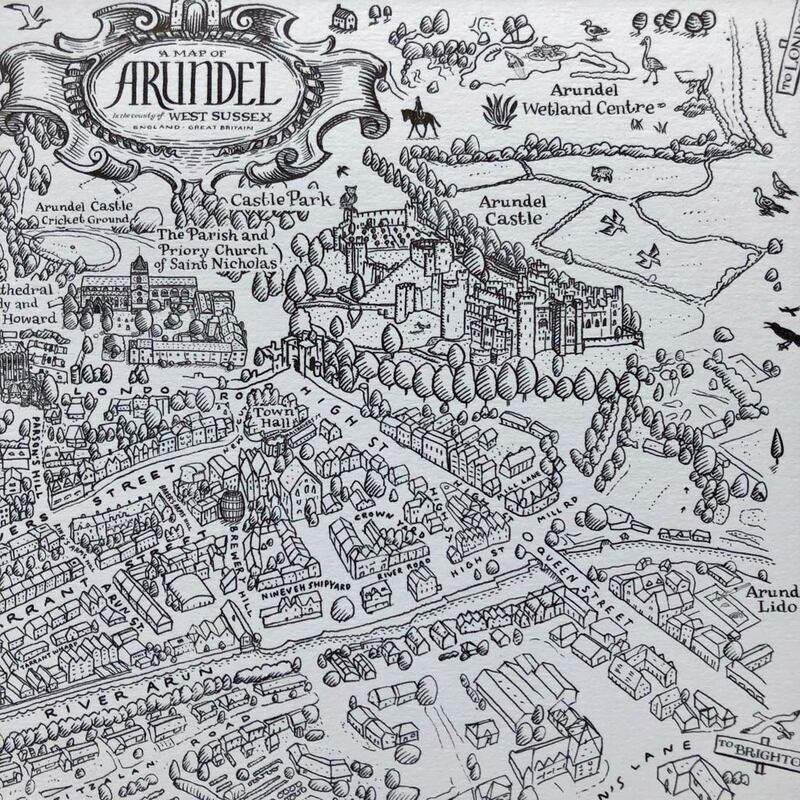 Map Of Arundel Signed Print, makes a lovely gift for Arundel fans. Featuring the beautiful castle and cathedral in West Sussex. 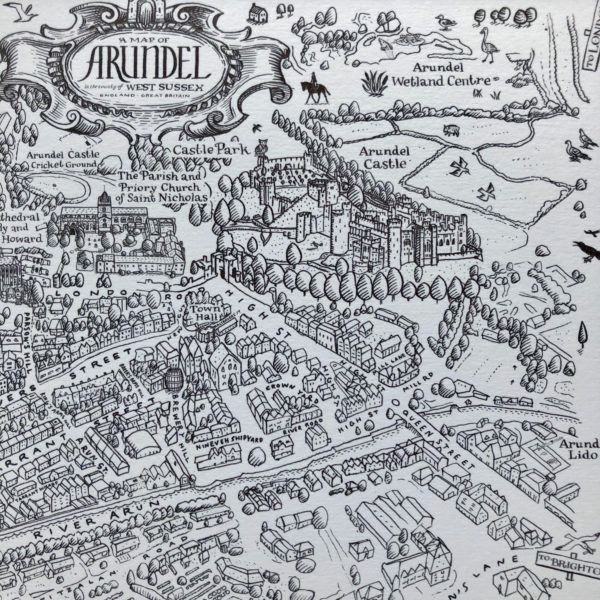 Map Of Arundel Signed Print, great as a keepsake of a visit to this beautiful city. The map is drawn by hand by artist Peter Gander for Have a Gander. 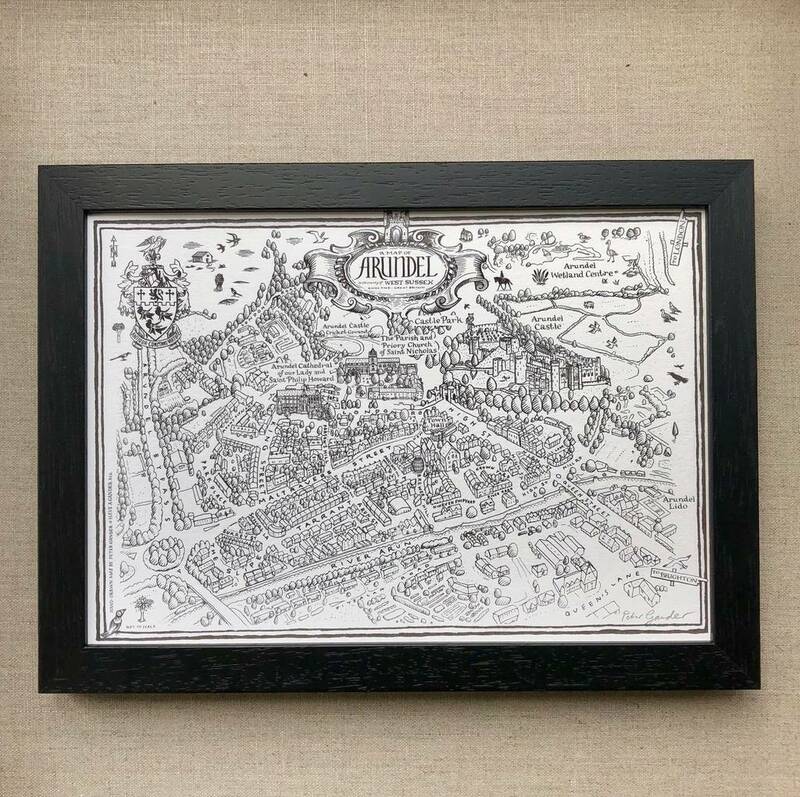 There is so much detail in this beautiful map. Icluding the castle and cathedral, even the lido and cricket ground. 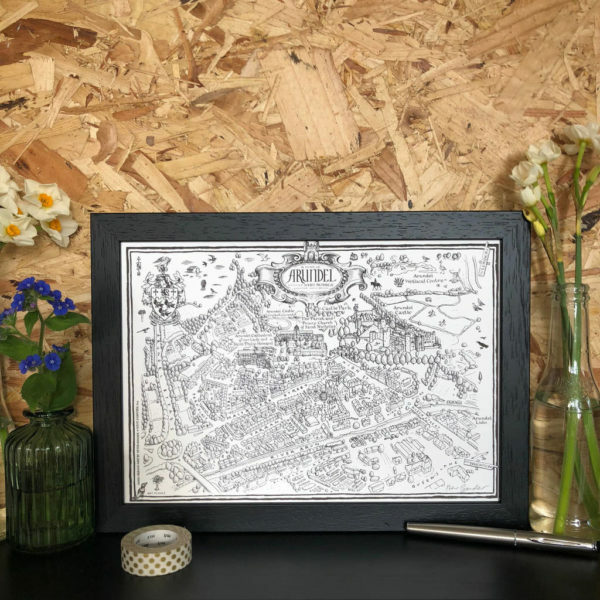 Map Arundel Signed Print is available in 2 different sizes A4 and A3.